In English, there are a number of confusing words. They might have either the same pronunciation, the same spelling or both (same pronunciation and same spelling) yet they mean different. Therefore, it is puzzling to understand what does a certain word mean. 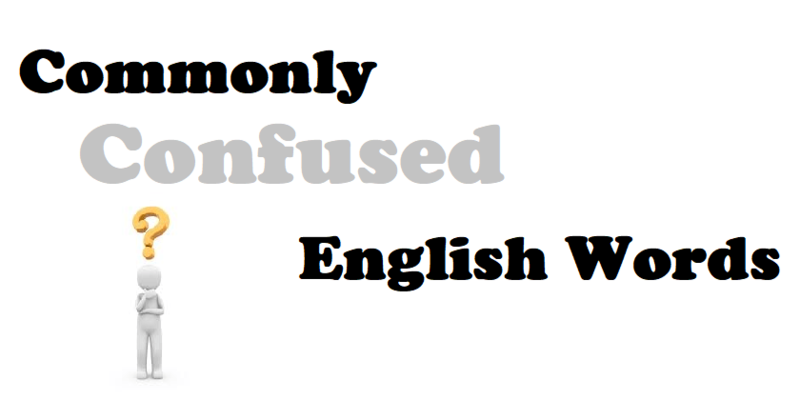 To help you, the following article contains the alphabetical list of Commonly Confused English Words for ESL Learners. So, the above list contains Commonly Confused English Words for ESL Learners. In case you have any questions or doubts about the above list or any other words, let us know.